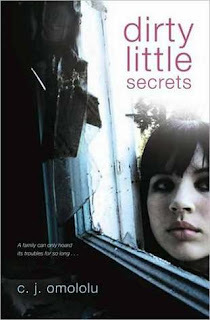 Summary:Everyone has secrets. Some are just bigger and dirtier than others. For sixteen years, Lucy has kept her mother's hoarding a secret. She's had to -- nobody would understand the stacks of newspapers and mounds of garbage so high they touch the ceiling and the rotting smell that she's always worried would follow her out the house. After years of keeping people at a distance, she finally has a best friend and maybe even a boyfriend if she can play it right. As long as she can make them think she's normal. When Lucy arrives home from a sleepover to find her mother dead under a stack of National Geographics, she starts to dial 911 in a panic, but pauses before she can connect. She barely notices the filth and trash anymore, but she knows the paramedics will. First the fire trucks, and then news cameras that will surely follow. No longer will they be remembered as the nice oncology nurse with the lovely children -- they'll turn into that garbage-hoarding freak family on Collier Avenue. With a normal life finally within reach, Lucy has only minutes to make a critical decision. How far will she go to keep the family secrets safe? I'm AUS, but I'm desperate. I have a US address, too, so that's why I'm entering. I've wanted to read this one for a while! I've really been wanting to read this one. I'm kind of obsessed with the tv show Hoarders (possibly because even with my Kindle I still hoard tons of books) and I really want to read this novel. Thanks for the chance! I loved this book, bu sadly I don't own a copy. An interesting sounding book. Please enter me in your great giveaway. hoarding ... a problem I have. Got to read this one! I can't believe I have yet to read this one. That needs to change. Okay, this sounds awesome! My fingers are toatlly crossed for this one! I love the program Hoarders! Sounds like an interesting read. Thanks!! I've been wanting to read this for awhile now!! Please enter me! OoO... This book sounds really interesting!!! Thanks for the chance into this giveaway. Looks like an awesome read!! This one has been on my wishlist for quite awhile. I'd love to win!